Chili is a mainstay in our house, whether it’s a special occasion or just a cold winter night. Today is the Super Bowl, Chili is a perfect dinner for such an event. It cooks all day in the crock pot and it’s ready when you are. It goes great with tortilla chips and wings and everything else that goes along with celebrating the Big Game. My chili is of course, very simple, with very few ingredients. My husband is a picky eater and hater of most vegetables, so I have created an excellent chili compromise. If I were to make this for myself or for others who enjoyed vegetables, I would add green peppers, onions and lots of tomatoes. However, this version has none of that. But it’s still quite delicious! Spray the inside of the crock pot with cooking spray. Pre-cook the ground beef. While the meat is cooking, open the cans of beans and tomato sauce. Drain the kidney beans and black beans, pour into the crock pot. Do not drain the chili beans. Use that liquid in the chili, so just pour the whole can of chili goodness into the crock pot. Add the tomato sauce and chili powder. Sprinkle with hot sauce, if desired. Stir well. When the beef is done, add that to the mixture. Stir until well mixed. Cook on medium heat for 4-6 hours. Scoop into bowls and top with sour cream, cheese and green onions. Serve with tortilla chips. Enjoy! 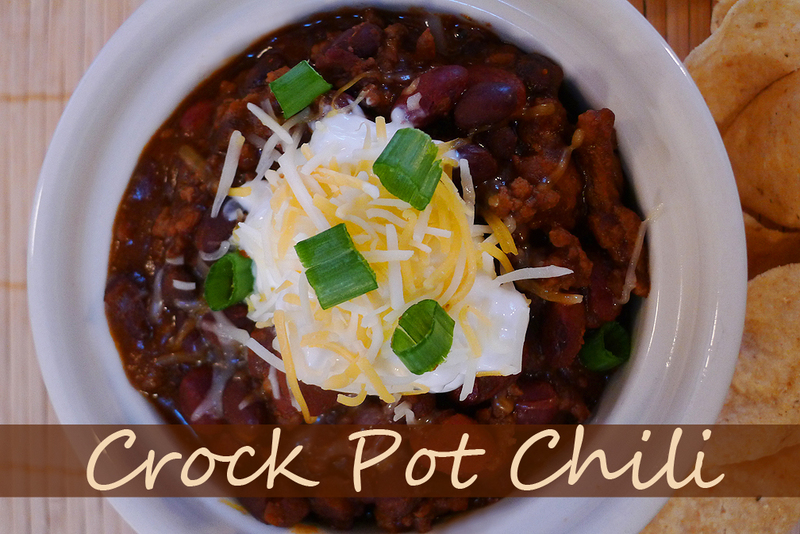 This entry was posted in crock pot, dinner, recipe and tagged chili, crock pot, dinner, menu plan, recipe. I love a good crock pot soup. Especially on a day like today. There’s a big Nor’Easter heading our way, about to dump a foot of snow on us. Not that we aren’t used to a little bit of snow in Syracuse, but well, it’s still perfect weather for a good old fashioned bowl of soup! 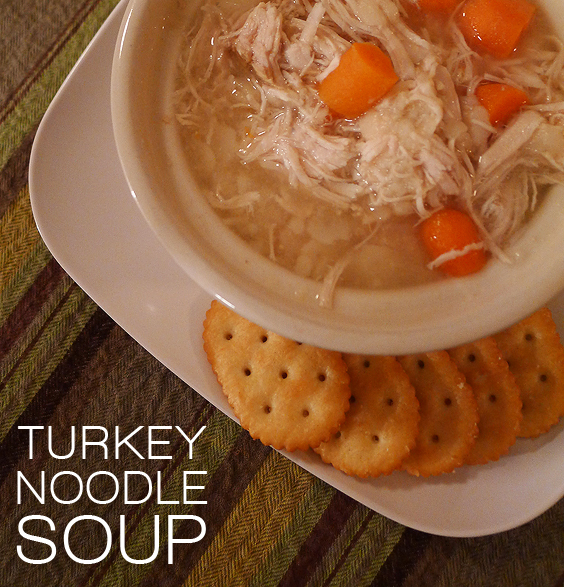 I made a similar version of this soup not too long ago, except with chicken. The recipe is about the same, except that I substituted anything that was chicken, with turkey. 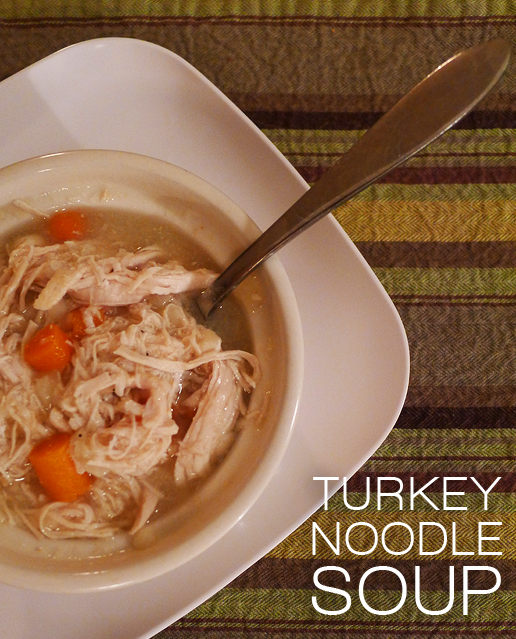 Place turkey and turkey broth in crock pot and cook on medium for 6-8 hours. Remove the turkey, place in bowl to shred. Return shredded turkey to the crock pot. Toss in the carrots and pasta. Cook for another 30-45 minutes (or longer is fine). Stir occasionally. You may need to add more hot water, the pasta will soak up a lot of the water once it is added. Serve soup with rolls or crackers. Enjoy! This entry was posted in crock pot, dinner, recipes, soup and tagged crockpot, dinner, recipe, soup, turkey. I’ve been feeling the need to make comfort food lately. The cooler temperatures and shorter days are sure signs that winter is on the way. 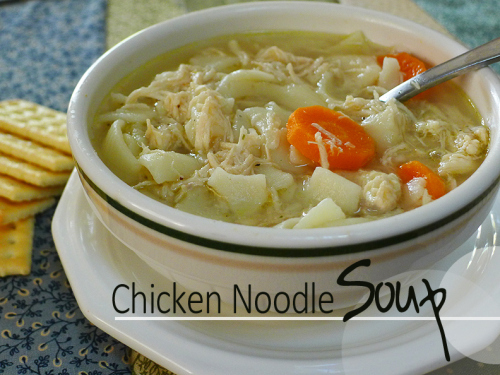 What better way to feel cozy than a wonderful, warm, homemade bowl of chicken noodle soup. This is my own recipe that I created through trial and error, so you may want to tweak it to fit your own taste. For example, my husband is not a fan of celery or onions, so I leave them out. If it was just me, I’d have not only celery and onions, but I’d throw in mushrooms, scallions and whatever else I had in the fridge! I call this version of chicken noodle soup the simple version. 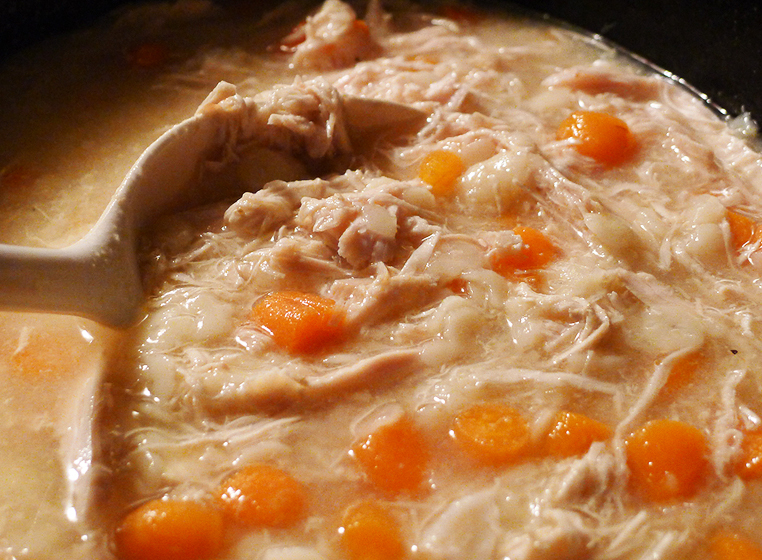 Place chicken and broth in crock pot and cook on medium for 6-8 hours. Remove the chicken, place in bowl to shred. 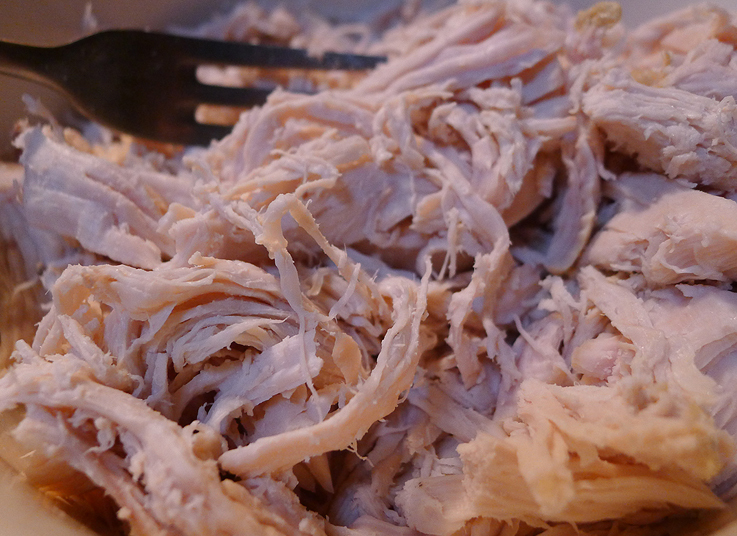 Return shredded chicken to crock pot. Toss in the carrots and pasta. Cook for another 30-45 minutes. Stir occasionally. 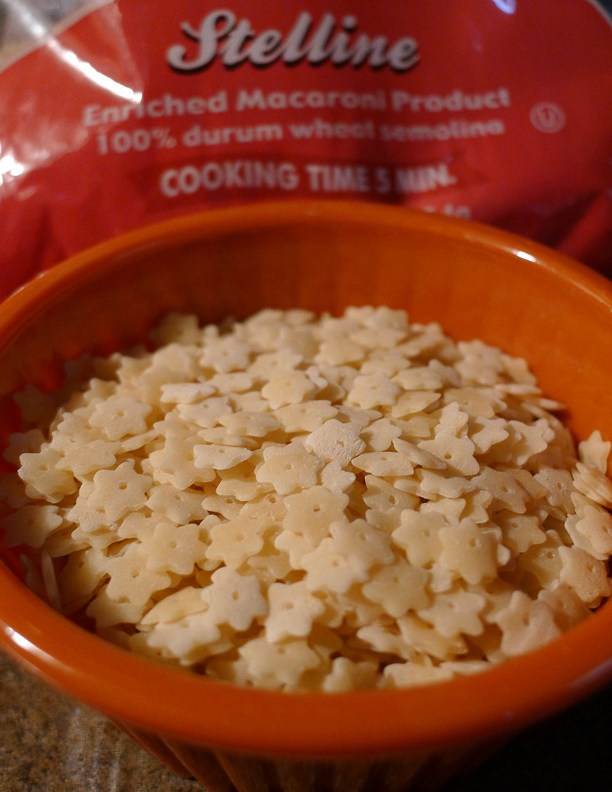 You may need to add more hot water, the pasta will soak up a lot of the water once it is added. This entry was posted in cooking, crock pot, main course, recipes and tagged chicken soup, crock pot, dinner, recipe, soup.